For all who play with the new terrain... I have enough water for all of you! During the past few days I've made a Water shader with reflection, refraction and specular highlights for you. And it comes with a little Demo so you know how to setup and get things running. I commented the lines for soft edges and darker color for deeper water, because AppGameKit Version 2.0.18 can't render depth textures on windows, but if you uncomment them you can test it on other OS's. I'll work on it later and when the new AppGameKit version comes i'll add foam for sure. Let me know what you have made with it and hope you guys post your improvements and thoughts. For all who want water but don't like the 3. Dimension. Once I have finished my current 2d project, I will do something 3d for sure. Quote: "AGK Version 2.0.18 can't render depth textures on windows"
It works fine for me, It just can't use render targets as images. but you can't use images(your target to render to) for the depth textures, not ? 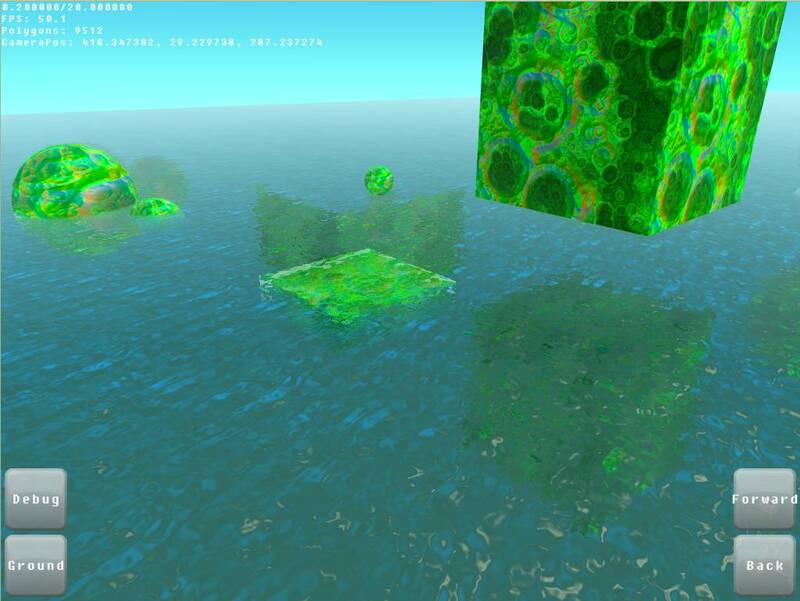 @CJB: Then I have a 2D water shader for you too. No, you can use depth targets in windows, as use them in the VR Zelda game. you just can't show them onscreen as an image. 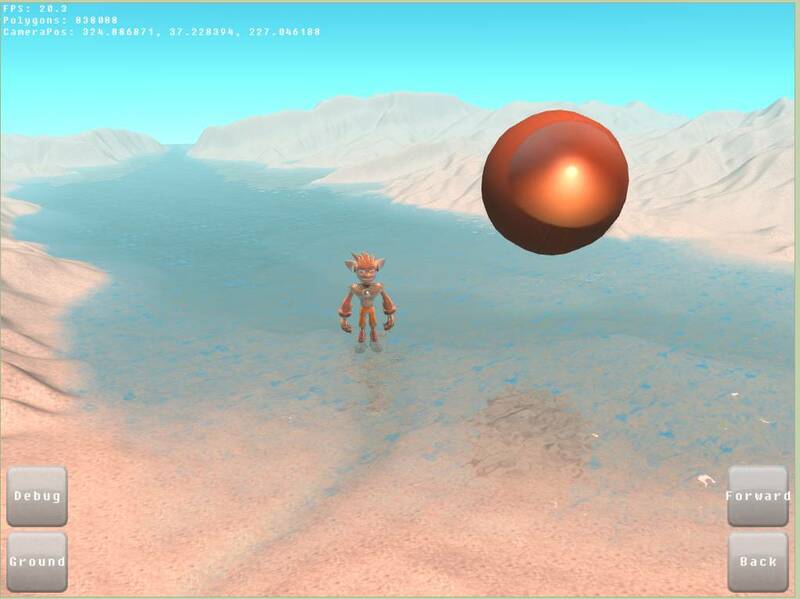 Anyway, it's a good shader, and one I'll have a play about with. Nope, on Windows depth render targets are not usable at this point, as they are always replaced with internal depth buffers (as confirmed by Paul). Good job, janbo! Will give it a try as soon as I find time to get back to AGK. 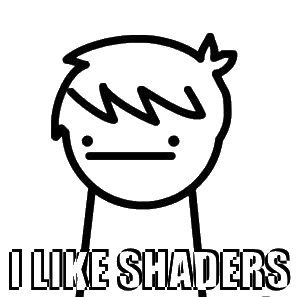 Quote: "you just can't show them onscreen as an image"
Quote: "you can use depth targets in windows"
But then you could uncomment a few lines in the shader and have soft edges like I get on android..but it doesn't work on windows... jet. Something is not right with this demo. The FPS is way too low to be usable. Yup, if you say me how I can do vertex clipping in stead of discard pixels in the Fragment shader we can save processing the Terrain a 3. time. But i have not managed to get gl_clipdistance working... So for now it is done per Fragment. I'll look in to it again tomorrow. And maybe I messed up with some Render() or Update() commands, but beware that you also need to update the Terrain, bevor you render the reflection Image, or the Terrain will get Clipped where you don't want it to. You could also reduce the render image size or don't use the special sun fog command. Should add it to the AGK2 codebase! Your link has a virus according to Norton. 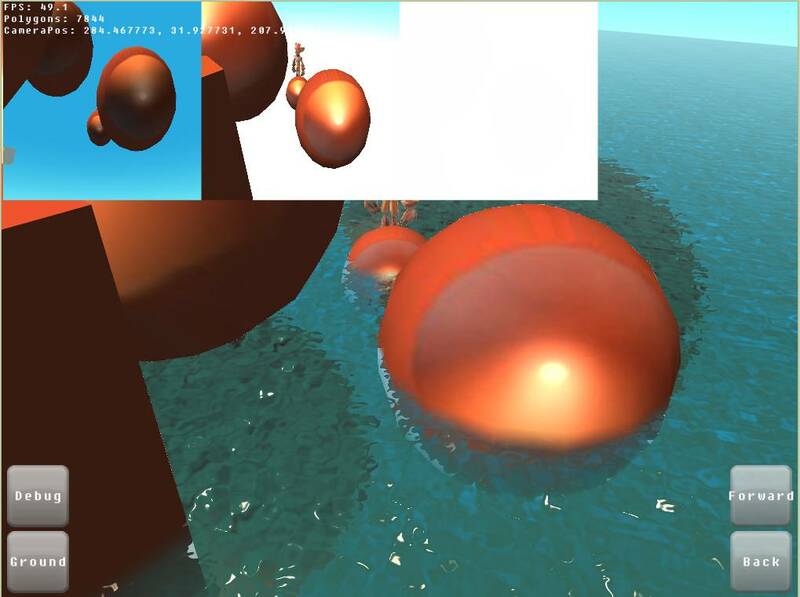 In the 3D water exe file. It seems that the clip plane isn't enabled ?! No, you don't need to worry. Norton is just saying that it's never seen the file before and wrongly saying it's harmful. 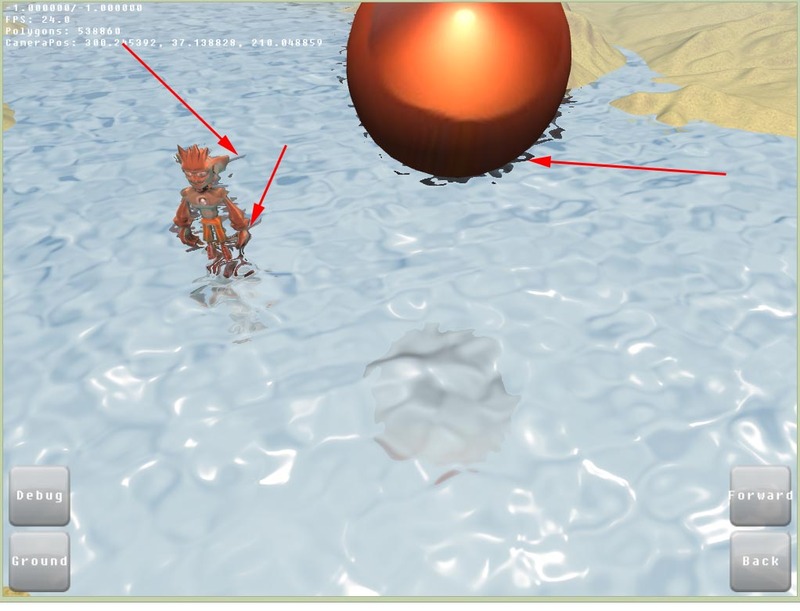 I have tried to play with your shader 3D demo, but, When I add some object, the reflexion on the water is strange, and I don't know how I can change that. Do you know how I can change that ? EDIT : for the moment, to not have the matter with the reflection, I simply hide the object in the second pass for reflection. Either you hide it before the render process and show it later again, but then you won't have reflections of that object at all. to the object's pixel shader. You must then change the clippingplane in your pixel shader like with the terrain one time with the plane hiding the top and one time hiding the bottom. By the way as Depth images works correctly on windows now you can un-uncomment the few lines in the water pixel shader and get the soft-edge and depth effect. Ops saw your code after writing my post. If that doesn't work for you, post me the debug images. I have use the depth texture, and it work, but only for the terrain if I don't use the shader of terrain, else, it doesn't work with the terrain. To see the normal map on the shader ? In the Pixel shader of your objects. And it doesn't work, I get the image I have posted previously. I have added the line ( vec4(normal,1.0)) to see the normalmap on my sphere and character but it doesn't work properly (it's logical, it add the color, but I don't know how to use that ^^). I just would to see the normalmap on my models, how can I do and what code should I use to see the normalmap on my models ? // these must appear exactly as they are to work, spaces and all. Tested your Pixel shader and the clipping works for me. I assume that you got the wrong worldposition in your Vertex Shader ? If you want, PM me your code and I look over it. Thank you very mush "janbo "
I have send a zip in pm .